Li Nanxing is a prolific veteran actor who began his career during the 1980s after completing SBC's 6th drama training course and gradually rose to stardom in the 1990s. In 1993 he shot to fame for starring in The Unbeatables I alongside Zoe Tay, the first drama series ever produced in Singapore on gambling. For most of the 1990s, he was one of MediaCorp's three most popular actors and was voted the Top 10 Most Popular Male Artistes ten years in a row and also won several Malaysia and Taiwan popularity polls at the Star Awards. In 2004 he was awarded the coveted "All-Time Favourite Artiste Award". He later ventured on to film directing and producing. He directed his first film, The Ultimate Winner and also produced his film, Imperfect, which he co-starred with Ian Fang and Kimberly Chia. 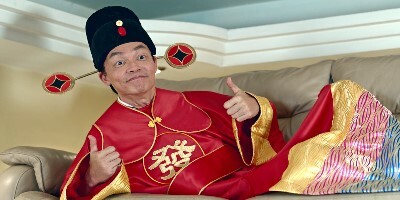 Some of his more famous shows include The Unbeatables trilogy and The Magnate; Li has also acted in 6 telemovies to date, and even sang the theme song of several of his shows. He mostly played in anti-hero roles such in The Vagrant, for which he won the Best Actor award at the Star Awards 2002 and On the Fringe 2011. In 2017, he produced Kelvin Sng's The Fortune Handbook.